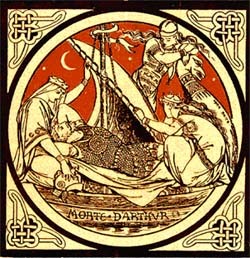 Whether or not he ever existed, King Arthur is one of the most potent figures in British mythology. This day school will examine the origins and development of the myths and legends surrounding Arthur, from the early Welsh sources through to Alfred Tennyson. We shall also examine the Grail legend, which was grafted into the Arthurian cycle in the later Middle Ages. Nick Groves is a graduate of the Universities of Wales (Aberystwyth; Lampeter), London, and East Anglia. His interests lie mainly in the early mediæval period, and cover language, literature, archæology, art, religious studies, and mythology. He is the Course Director for the Certificates in Mediæval Studies and in East Anglian Studies at UEA, and also teaches a wide variety of other courses.